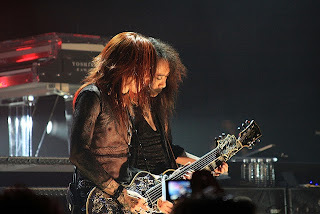 It's been almost a month since one of the most popular Japanese bands, X Japan, brought a mind-blowing show in Toronto.It wasn't only us who had been waiting almost 10 years to see them in live. I have received an enthusiastic review from Nanochoahey. Here is what he has to say about the show. Enjoy! And if you haven't checked out the Bryen's review, click here! many people so I was never succeeded. the fans in the front. excitement arisen from the bottom of your heart. do you feel about this song? the top of the sky. was going to miss YOSHIKI and X so much for the rest of my lifetime. time. I hated myself so much for not preparing well enough for this concert. imagine how crazy it went with the fans at that moment. already finished the photo taking. Pissed me off, Wahaka! @@"
now had rooted the seeds inside our hearts and on this land. 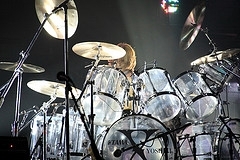 YOSHIKI’s music is going to have a much profound impact in North America. going to accomplish everything just by one or two days. 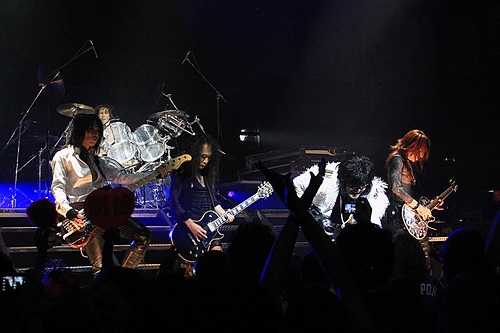 Special thanks to Sasoriza for pictures of X japan. Click here to check out his incredible works!